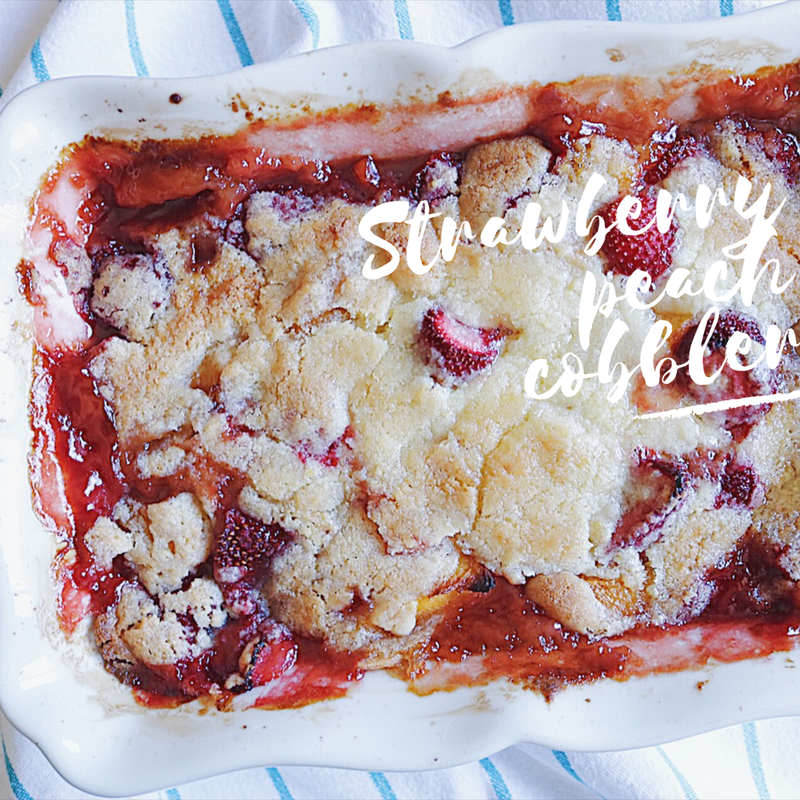 Looking for a simply delicious fruit cobbler recipe that lets the fruit shine through in all its ripe glory? 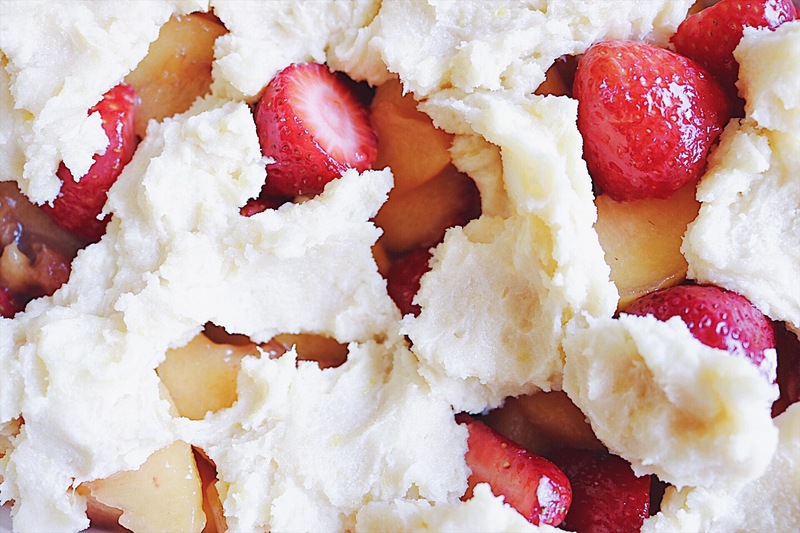 A cobbler that combines sweet caramelized fruit and lemon zest shortbread cookies in one? 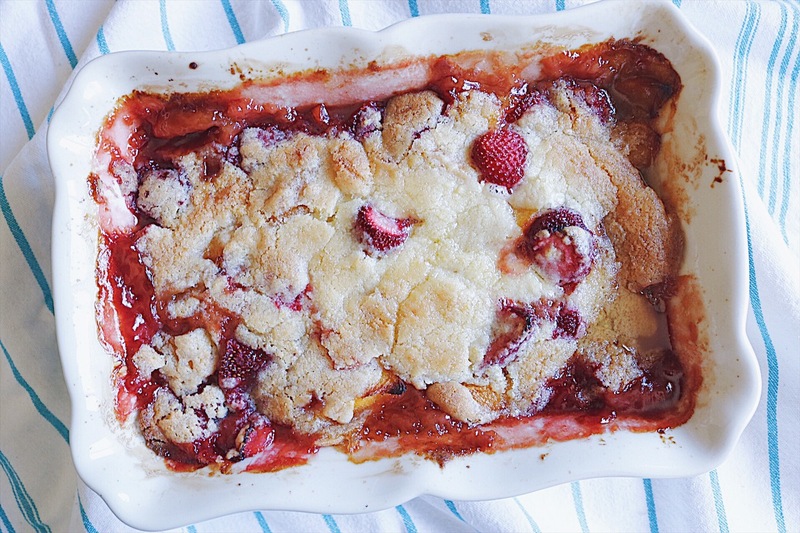 Easy enough that you can prep it, bake it off and enjoy it à la mode in an hour and and half or less? 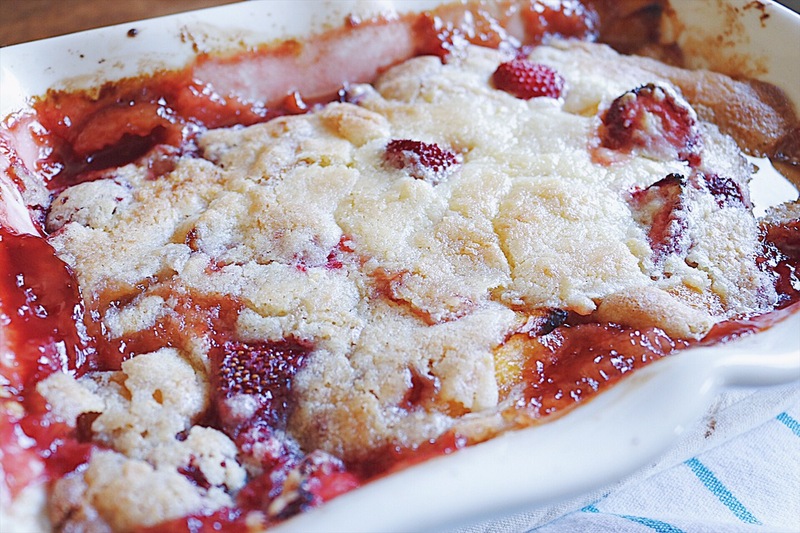 A recipe you can to bring to any BBQ or get-together this summer? If you said yes to any of the above then this is the recipe for you! 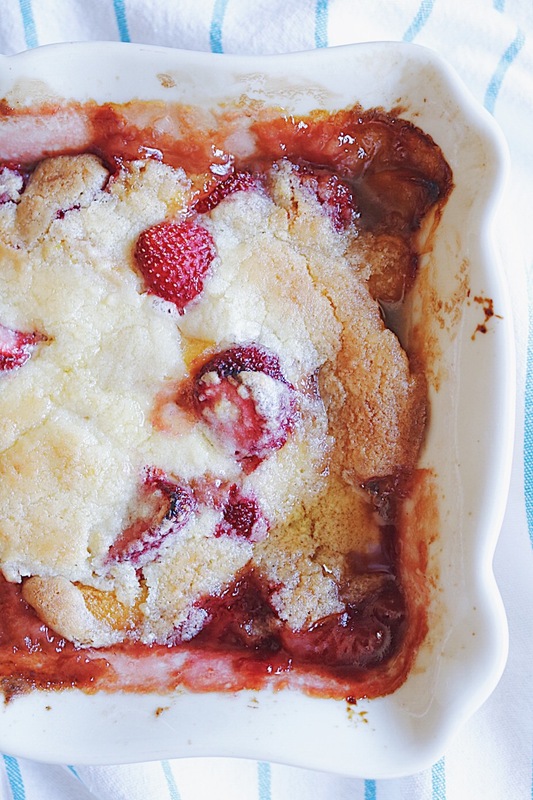 A deliciously simple Strawberry Peach Cobbler with Lemon Zest Cookie Crust. 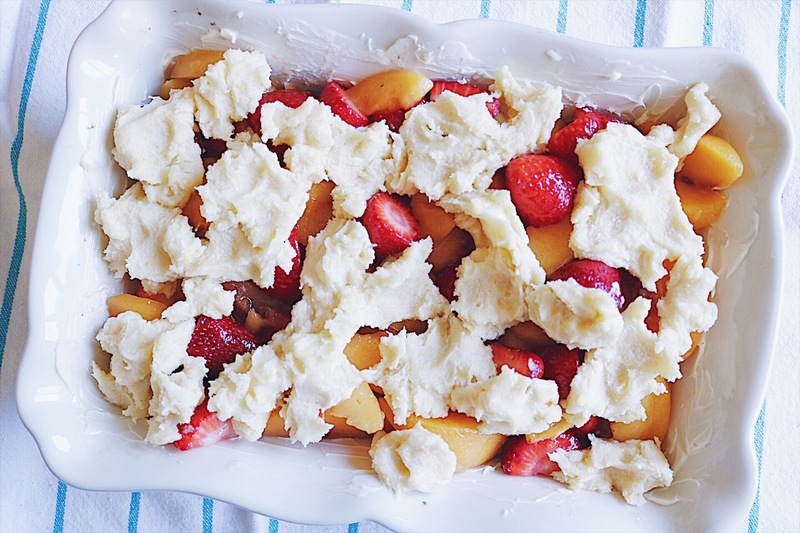 For the fruit filling, butter a 9×12 inch baking dish and set aside. 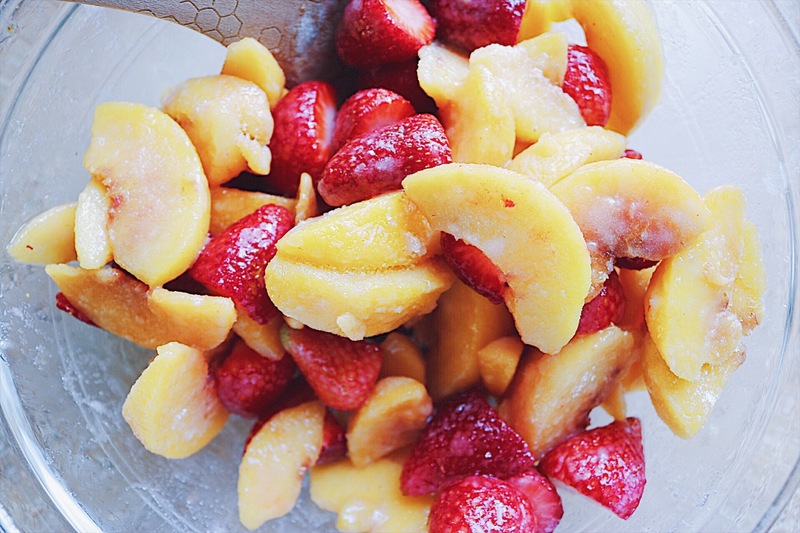 In a large bowl mix the prepped strawberries and peaches with the sugar and cornstarch. Let sit about 5 minutes until the sugar dissolves then transfer into the buttered baking dish. Combine the flour, baking powder and salt in a small bowl. In a large mixing bowl beat the butter and sugar with an electric hand mixer. Next beat in the egg yolk, lemon peel and vanilla. Add the flour mixture to the wet ingredients mixture, mix until moist dough forms. Dollop spoonfuls of the cookie dough on top of the fruit filling, spacing evenly (it won’t cover the entire cobbler, but will spread while it bakes). Bake until the juices bubble thickly and the topping is golden, about 55 minutes. 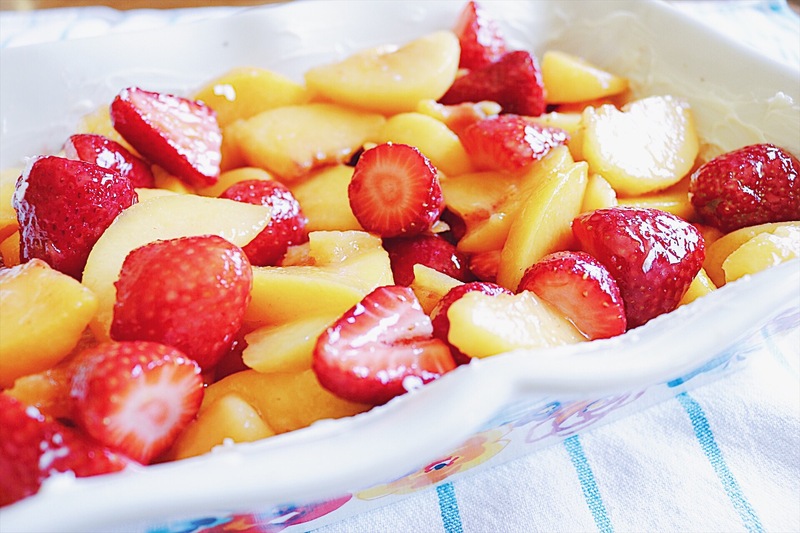 Let cool slightly, or to room temperature and serve with ice cream. If you’re in a rush, you can speed up the process by dumping all of the cookie crust ingredients into a bowl and mixing all together at once – I’ve done this many times and it still turns out great! Thanks for stopping by CB EATS! 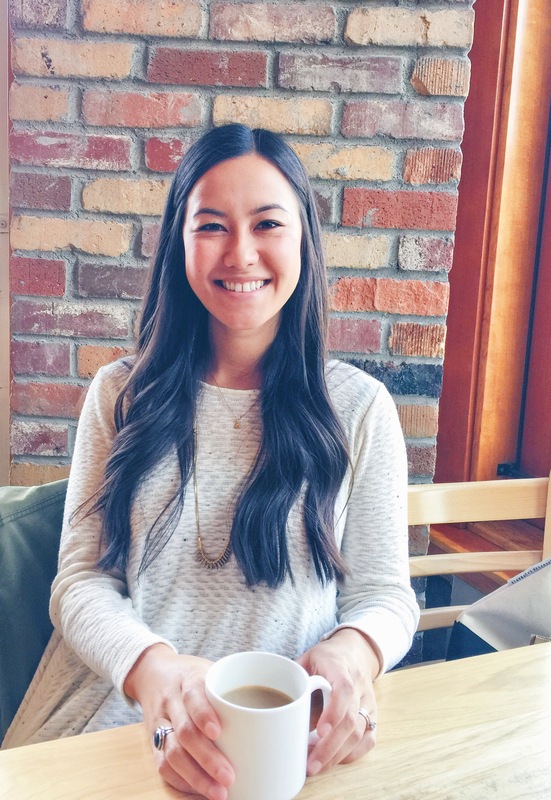 Subscribe to email updates or follow along on Instagram or Pinterest!